I am a graduate student getting a Master’s Degree in Literature. I am a professional editor who…literally makes books for a living. And yet, I feel very poorly read. Now, I realize this is comparative. I read more books in an 8 hour work day than my dad reads all year (he’s an engineer…he likes numbers…loser…). I just don’t feel like I’ve read enough books to be personally satisfied that I am well read. It’s probably a quest that will never end. But that’s what makes it so fun. In an attempt to start fixing this error (while simultaneously doing homework for school! Two birds, one stone!) I’m reading more classics I didn’t have the chance to explore in college as an English-Ed major. And, as I’m sure not everyone out here has read all these books either I figure I’ll share the experience with you. Maybe you’ll catch up on a few classics yourself. It’s not that I don’t love Jane Austen, I’m just not in love with her work like some people are. 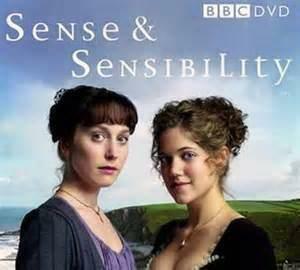 I do enjoy Regency themes and the period has made for some excellent PBS mini-series(es, i? plural of series anyone?) But I just prefer the male writers of the time. Even Eliot and Bronte don’t get me excited about the 19th century. I’m a Dickens girl. I love long winded novels about the industrial revolution that deal more with men showing their colonial attitudes than women getting married. (Although, thanks to the PBS special I am getting into the novel Paradise for Women but love only because its retail and I have a long standing relationship with the retail trade). I saw a lot of similarities between this novel and Pride and Prejudice. Two sisters looking for love in all the wrong men. Elinor and Marianne are not so unlucky as to have been born to a father of only girls, but their only brother is just a half-brother. And when their father dies he’s happy to leave them with nothing. But of course, it doesn’t take long for these sisters to be pulled into affairs of the heart…and for their chosen lovers to not be what they seem. Meh. This book is okay. It’s very…Austen-y. I’m not sure I agree with people who say Elinor is smug. She’s just sensible. That’s the whole point of the novel. 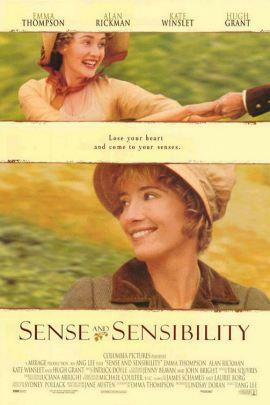 Austen shows her attitude towards sense and sensibility, rationality over emotion. And she has a clear preference (according to my lit professor). There’s a lot that’s already been said about this novel and I’m not sure I have anything to add. I will say I hoped Colonel Brandon ended up with the other sister… Please, feel free to argue if you wish. I do understand why people love Austen. It’s easy to get lost in the world of Regency and chivalry. I would like to caution against reading Jane Austen as chick-lit for the brit-addict. It’s a lot less about “women getting married” than you think. This book is less a novel about romance and more a novel about the relationship between sisters and the necessity of marriage for financial security. But if that doesn’t sound like your cup of tea (no pun intended but now that its here I like it) you’ve got some other options to enjoy this classic. Sense and Sensibility and Sea Monsters in line with Pride, Prejudice and Zombies this adaptation will give you more than just romance. BBC adaptation of S&S. I love BBC mini-series. So, it stands to reason that this is awesome. I can’t say that I really liked this movie, but it’s not bad. And it’s good for all of you who don’t feel like reading a whole novel. So have you seen any other Sense and Sensibility inspired art? Film, craft, or otherwise? Let us know in the comments, feel free to post links.